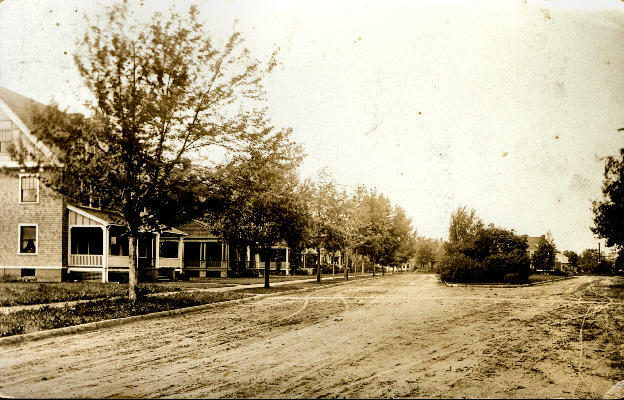 This street scene features Marengo Park. The leftmost house is #93, which is the house that the sender lived in. Ms. Marsh is very comfortable, her arm gives her very little trouble. Harold, Eldridge, & I have had one weeks vacation, at the shore which put new life in us all. I have not been bothered with hay fever this summer, [unreadable] of it! The first time in years. Will be glad to see your home. Kindest regards to all, Florence L. Ferre.